Zion is famous for vibrant sandstone canyons that merge reds, oranges, and shades of white with purple, pink, and yellow creating some of the most brilliant scenery in the world. 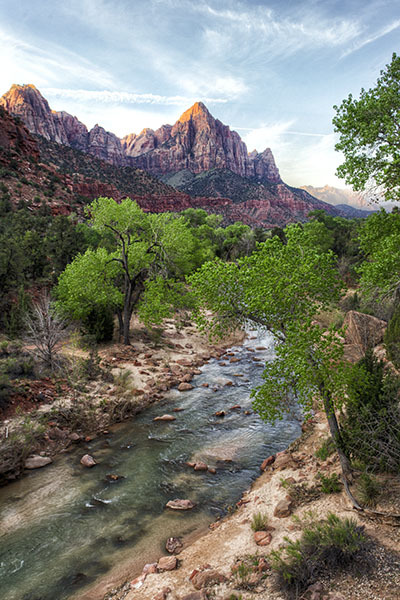 The Virgin River has cut through a high plateau creating a geological marvel flowing from moment to moment. Experience these colorful canyons, hot rocky deserts, and cool forested plateaus the right way by strapping on your hiking boots or calling today for one or both of these moments captured just for you. Photo © copyright by Scott Papek.